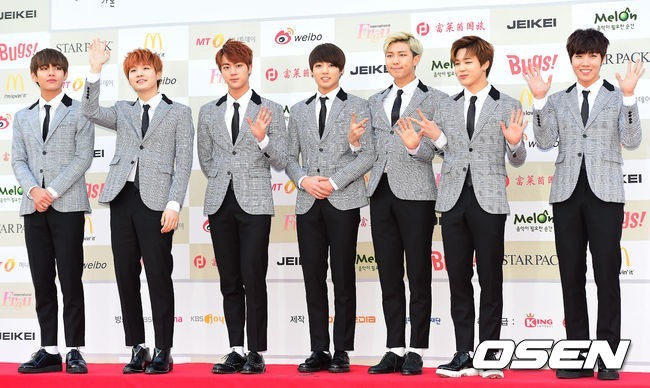 The star-studded 2014 Gaon Chart K-pop Awards held at Seoul's Olympic Gymnastics Arena on Wednesday was attended by familiar faces like K-pop legends g.o.d and rookie bands like BTS aka Bangtan Boys. First came the overpopulated boy bands Super Junior and EXO. 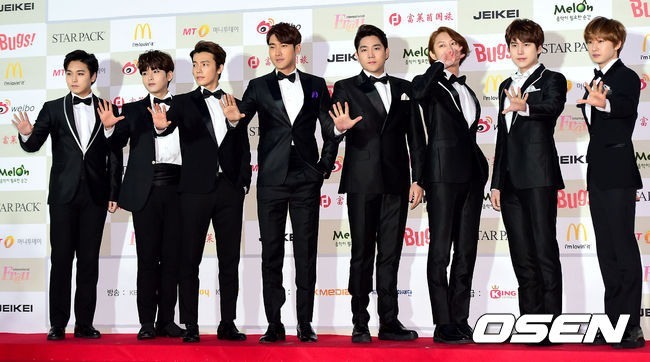 Super Junior, who stole the spotlight with their triple win, appeared suitably suave and polished in black tuxedos with white trim. 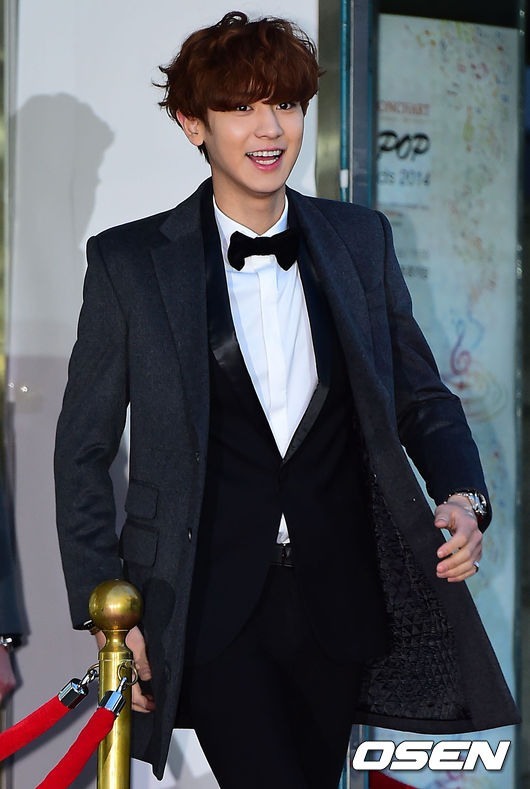 Eldest member and band leader Leeteuk, dressed in a tuxedo with white lapels, put in a separate appearance with Girl's Day member Hyeri as hosts of the awards ceremony. The 12-member group, which won two Artist of the Year awards for their chart-topping "Mamacita" album and the Weibo K-pop Star Award, appeared less crowded than usual, with members Yesung currently serving his mandatory military service and Kibum focusing on his acting career. Reports say member Shindong, due to enlist for his military service, was absent due to back-related health reasons. Korean-Chinese group EXO won yet another award for their "Overdose" album together with the Mobile Vote Popularity Award. 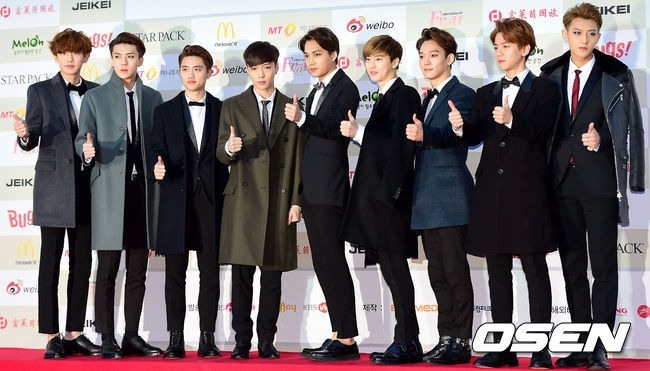 The 10-member band, who appeared without fatigued member Xiumin, upheld their signature formalwear dress code on the red carpet. Keen-eyed fans will notice some suspicious fashion recycling with D.O. donning absent Xiumin's navy jacket from the SMTOWN@coexartium opening ceremony on Jan. 13. Next came the up-and-rising rookie groups, who also nabbed a few awards at the Wednesday event. 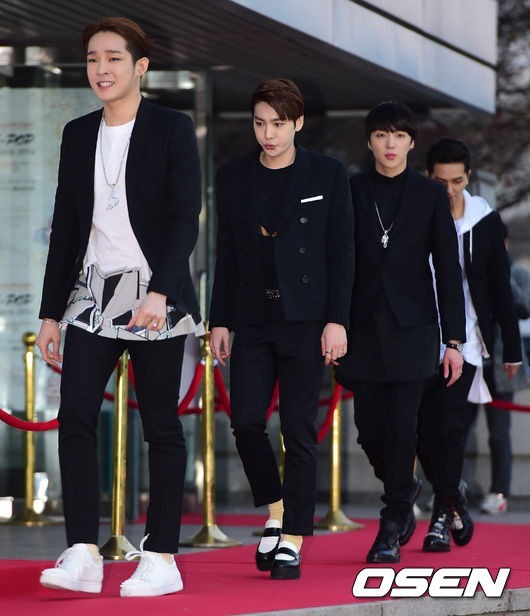 New Male Group of the Year awardee Winner put a twist on the smart casual look, matching blazers with hoodie sweaters, graphic tops and Alice shoes. BTS aka Bangtan Boys, who won Discovery of the Year award, wore identical checked jackets in a similarly monochromatic outfit. 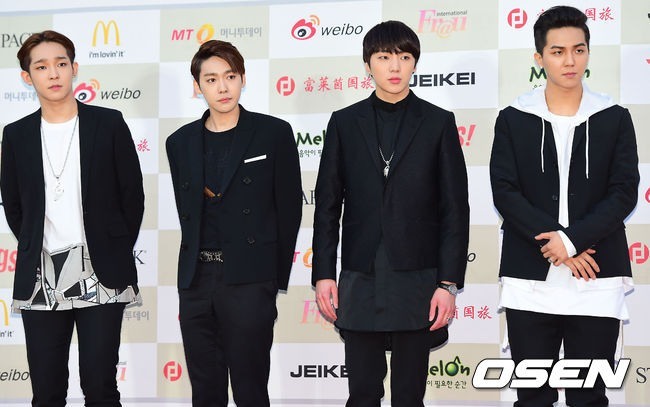 Then came K-pop veterans g.o.d, clad all in black. The man band, who won an Artist of the Year award for "The Lone Duckling," regrouped last year for their May comeback single after an extended hiatus of solo engagements. Hip-hop trio Epik High, who took home the Genre Award, went appropriately against the mainstream fashion grain in shades of vivid turquoise, eye-popping carmine and terracotta brown.